HI guys! Technology has been developing at a very fast rate in recent years and has also helped in making our daily lives easier to a great extent. Today we have for you, another trending gadget-Olly. We have heard of many home controlling devices but Olly is different. 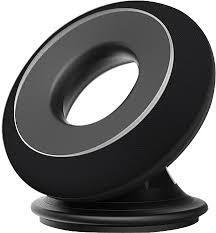 It is a black donut that rises to greet you and swivels to face you when you address it. It responds not just with voice, but with mesmeric light patterns that help it to express itself. You can also say it is a robot with feelings. Why? ... We'll come to that later. It remembers your daily routine and actions and becomes like you to give you a better and a more personalized experience. Now coming to what all the robot can do, is similar to other products like Amazon Echo or Amazon Tap (you can also see the review of Amazon Echo by simply tapping here and you will be redirected to that article). It can answer your various questions by looking up information for you. It can control all of your smart devices and internet connected products you might have in your home. So if doesn't do anything different from its rivals like amazon tap and google home, what makes it unique? This is the part where you remeber of olly being referred to as the 'robot with feelings'! This shows its proactiveness. Like it can can predict what you might want to do or listen at a certain time. For example, you like to listen to some soft music before going to bed, then the olly would automatically play your favourite choice of music at that time! Pretty convenient right? !